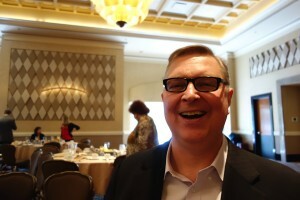 When I started my campaign to become President of the Music Teachers National Association, my first blog was about opportunity: the opportunities I felt that MTNA has always given music teachers, and some ideas about what we need to do to build even more favorable possibilities for MTNA members—and the future members!—of our great organization. As I write you today, I have accepted an opportunity of my own. 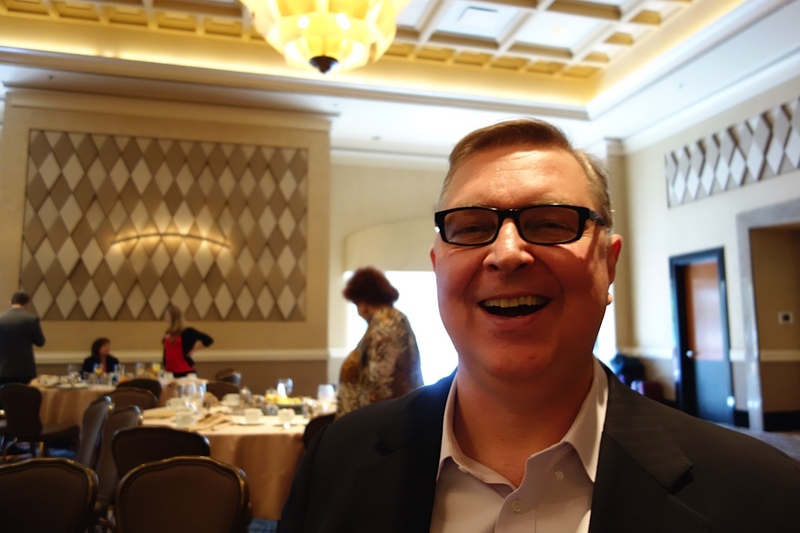 I am honored and humbled to report that, at the Annual MTNA Business Meeting on March 24, 2015, my name was announced as MTNA President-Elect for the next biennium. I will become MTNA President in two years. I want to thank every MTNA member who voted in this election, whether this was your first time, or the latest of many, as it was for me. I have the utmost respect for my worthy opponent, Martha Hilley, and I know we will work together to continue to move MTNA forward, as we have many times in the past. Many thanks for your involvement, your suggestions and your support. I’ll need all three in the years ahead! Thanks again. In 1876, a group of music teachers met in Ohio to form an organization dedicated to making music available to every American. They called it the Music Teachers National Association. Today, almost 140 years later, MTNA’s mission continues. We move forward because of the dedication of each and every MTNA member. It’s your commitment to our noble mission and your big, bold dreams that make MTNA such a profound force for good in music education. Thank-you for everything you do; I’m honored to be your colleague. Many of you have written to ask about the election results. I wrote Dr. Gary Ingle, MTNA Executive Director and CEO, with the same question. He informed me that it is MTNA tradition to make no announcement until the MTNA Annual Business Meeting, which will take place this year on Tuesday, March 24 at 1:00 p.m. Naturally, I will respect this decision. During the election process, I appreciated the chance to interact with so many of you through my blog. Let’s carry-on the dialogue, and continue our journey together into a bright musical future for all Americans. Your support means a lot. Thanks for all each of you does for music, for children and for the future of music in the United States. My run for the presidency of the Music Teachers National Association has been an adventure. Today is the last opportunity to vote, and it’s been a positive experience. I’ve learned a lot. To those of you who have voted for me: thank you! For those of you who are supporting my opponent, thank you, too. I appreciate everyone’s commitment to the important mission of MTNA. To me, one of the most valuable aspects has been the interactions with my blog readers. I’ve enjoyed the feedback and your fresh and creative ideas. Win or lose, I plan on continuing a dialogue on the important issues that affect all of us. My heading is a paraphrase of Shakespeare, from his play The Merchant of Venice, Act Five, Scene 1, the same scene in which Lorenzo (one of the male leads) says that no one who dislikes music should be trusted. Many MTNA members that I know perform a lot of good deeds—and are very trustworthy! They share their love of music in their communities on many levels, and serve gladly in a variety of volunteer positions to further the MTNA mission. The fact remains that, despite our best efforts, music study is not available to many segments of the U.S. population. How many people study music each year in the U.S.? The official answer is: no one knows. But I’ll give you my answer: not enough. Today I’d like to tell you about two established outreach programs, and one that is just beginning. They share a common goal: to bring music into the heart of the community, and bring music study to underserved populations. “Keys for the City” is a project of Music for Everyone, a non-profit group in Lancaster, PA, a city that bills itself the “Street Piano Capital of the World”. 2014 was the fifth consecutive summer that pianos were placed all over Lancaster, to be played by whomever wanted to perform. There were 12 available pianos, each designed and painted by local artists. “Whether people stop by to play a few notes or an entire piece, there [are] thousands of magical, musical moments…” says John Gerdy, president of Music for Everyone. Local teachers sometimes station themselves near the pianos to give brief lessons. But mainly, people just jam, and have a great time playing. The “Keys for the City” coincides with five “Music Friday” events in Lancaster, in which 40 music acts perform in bars, restaurants, galleries, and in the streets of Lancaster. Lancaster isn’t the only town reaching out with music. 2015 is a big year for my home MTNA branch, the Kansas City Music Teachers Association. It’s our 100th anniversary! To celebrate our 100 years of excellence, KCMTA has set a goal of placing 100 ‘artistically transformed’ pianos around the Kansas City area during the summer of 2015. It’s part of a program called “Pianos on Parade”. 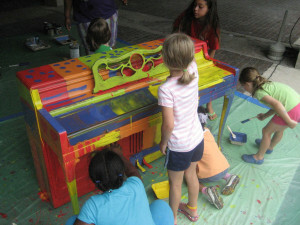 Local artists and kids will paint the pianos in May. Some will be stationed in high-traffic areas, others will pop-up at local fairs, festivals and sporting events. “Pianos on Parade” is a program of Keys 4/4 Kids, a non-profit organization that accepts donated pianos and uses the profits to fund charitable programs. The last program that I would like to tell you about is close to my own heart, because it originates in the MTNA Student Chapter of the school where where I teach, the University of Kansas. This is a wonderful group of music students who are taking the initiative to do something really special. They (with my help, since I am faculty advisor) have identified a group of students in a small Kansas town who have never had the opportunity to study any musical instrument. We are going to offer lessons to them, using the teaching skills of our KU students and the latest technology. We’re busy checking, organizing and finalizing, so I better say no more right now. I couldn’t be more proud of this group of exceptional young musicians and I’m looking forward to sharing more information with you. Is your local MTNA branch reaching out to the community in exciting ways? If so, I would love to hear about it! Leave me a comment, or send me an email. Here is the second set of responses to my blog series on technology. Lots more good ideas—and some different viewpoints on the pros and cons of using technology itself. This, I think, is excellent for our ongoing dialogue. I know and respect all four contributors, but the last entry, by Dr. Melissa Martiros, was submitted by special invitation (OK, begging!) from me. I heard Melissa give a very moving workshop on teaching piano to special needs students, and I was fascinated to hear how she uses the iPad. As always, I am getting a lot of great ideas from everyone who writes in! Thanks—and keep sending!! Music Teaching and Technology – I have been teaching with computer programs hooked up via midi since 1984. A lot has changed since those first days, but a lot is the same too. Technology is a teaching tool for me. Students can drill sight reading, ear training, rhythm reading, basic theory, compose, learn about music history, etc. with head phones on while I teach other students the finer points of playing their repertoire and technique. I have an iPad too, but just haven’t added too much on with that since I was already set up with comprehensive computer programs doing the same things as most of the iPad apps, but with more power. I do love the price of the iPad apps vs. what I spent on computer programs. Pianos, Keyboards and Disklaviers – I teach with both acoustic pianos and digital pianos. The price range of many of the decent console pianos is out of the range of a lot of beginning students, or it is more than they want to spend until they find out the true interest level of the student. In most cases they are left with a choice of a poor used spinet or a digital piano. Thankfully, manufacturers have seen this need and have been steadily improving upon the digital pianos and most students can now afford a lot for their money. Plus, they don’t need to tune the instrument and it has a built in metronome, often a small choice of other instrument sounds and rhythm patterns. Some even have other teaching features built in. In my opinion, dollar for dollar a decent low priced digital piano beats a spinet that is in poor repair. The “Gamification” of Education – When a concept is drilled with a great game, kids won’t want to stop playing and don’t realize how much that they are learning. It is the best tool. There are some nights, in the computer lab, that the parents have to go in to get the students because it is time to leave and they don’t even realize that much time has passed. Technology: MTNA Into the Future – Our daughter is in this age group. She opted for an Associate Degree in Art Illustration. When she started school, she was going to double Major in both Music Composition and Art Illustration. It soon became very apparent that the scheduling of classes was not going to allow this to happen. Also, she was seeing the employment opportunities for young graduates and decided that going for more education at this point would not necessarily land her a better job in her chosen field. Colleges, Universities, and groups like MTNA need to look more at how to train these bright young people to find the best jobs for themselves. It is a challenge. She has her degree in Art, but is currently working at a piano store. So many new ideas are blossoming in piano pedagogy. Online teaching seems to be catching on all over. I’ve not seen so many games before that seem to work hand in hand with student’s books and sheet music. I have to familiarize myself with some of them from so many available choices. Yes, I am enjoying online teaching very much as well as teaching locally. Teaching online brings out elderly people who always wanted to study piano but never had the time to do so until now. Their ‘aha’ moments are so wonderful to behold! One of the best things they like about taking their lessons is they don’t have to travel anywhere. Until I started giving online lessons I primarily taught school age children. I still enjoy teaching young people but also teach adults who never learned to play or who want to pick up where they left off 40, 50 or more years ago. Along with the joy of giving lessons and seeing students beam with excitement of learning to play, sadly there are physical problems that many aging people have to face. Some of my retired students have had to discontinue lessons from time to time when these problems prevented them from practicing and studying. Those who come back for more are so eager to learn to play music they love, especially songs from their youth. 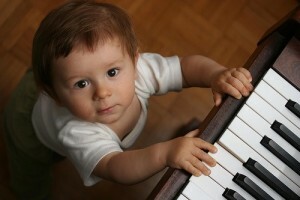 Surprisingly, some people have retained much of the music they learned years ago. My teaching has taken on a whole new dimension. Within the past few years I studied website building and created my own website, www.piano-lessons-live-online.com so people can find me online. I tell students that they can supply the content of what they want to learn and I will teach them the concepts and skills needed to learn music that they love. I have long believed that the traditional classical-only approach is missing the boat and needs to be more inclusive as you advocate. I also continue to attempt to keep up with and incorporate the blazing speed at which music education technology is developing. It is a constant challenge to the brain and the pocketbook! Of course it also enhances the reach and efficiency of a teacher who is relieved of some of the challenges of repetition, time constraints and geography. Technology plays a very unique and important role in my lessons with children with special needs. I embrace the use of technology in these lessons and have come to really value the role it plays instruction and learning. I have found that many of my students with special needs are motivated by the iPad in the studio. The iPad serves as a strong positive reinforcer for my autistic students and others who have difficulty staying on task during an entire lesson. At the onset of each lesson, the student and I decide on a list of activities to accomplish during our time together. If the student completes all of these tasks within the lesson time, he/she is rewarded with iPad use at the end of the lesson. This is not just free time—there are restrictions. I set the timer on my iPhone to provide concrete boundaries during this earned reinforcement time. And, in most cases, the student is limited to educational music apps and age appropriate music videos on YouTube. As an educational tool, I use the iPad for both in-studio and at-home learning. This is especially useful when providing instruction to non-verbal and minimally-verbal students with autism. It is also useful for students with learning disabilities. When introducing new pieces, exercises, and/or scales, I will pre-record my hands playing from a birds-eye view and play the video as an additional mode of instruction during the lesson. I will then email the video to the parents for the child to view during practice sessions at home. I do emphasize note reading with all of my students. However, these videos serve as audio and visual practice aids for students who struggle with audio and visual processing. They are also incredibly useful for students who struggle with memory, as is the case with a current student of mine who is coping with the cognitive side effects of severe epilepsy. Finally, I use the iPad for student self-reflection. In some cases, students are resistant to my entering their personal space on the piano bench and more responsive to video instruction during the lesson. If I’m working with a child who has trouble with the receptive and/or expressive language, I will record the student performing and engage in playback activities in order to provide the instructional guidance I may not be able to on the bench in the lesson. In this way, technology complements the work I do in the lesson and provides the student with a chance to self-correct. This technique works with behavioral challenges as well. Often, children who exhibit challenging behavior don’t fully realize what their behavior actually looks like to others. Videotaping these behaviors for playback and reflection can be a useful reflection and management tool. The best part of blogging is getting responses, and my four-part technology series has generated a lot! I’m impressed with my respondents’ thoughtfulness, and the wide range of their thinking on this important topic. Over the next few days, I will be posting my readers’ ideas, with their permission, and adding a few comments of my own. But if you are looking for an all-knowing guru to endorse and promote, I encourage you to keep looking because I have not yet found one either. My goal is encourage the dialogue about technology: what we think about it, how we use it and how it impacts our students. I invite teachers of all different viewpoints to participate. The publication of their ideas here, as always, does not represent an endorsement by MTNA or me. It’s all about the conversation. I do use some technology in my studio, but I never let it usurp the energy, power and centrality of the relationship between musician-teacher and musician-student. I was the first (at least around here) to use computer-assisted music instruction, digital piano with recording, etc., but after a few honeymoon years, I found it unsatisfying in some ways. Students began to have growing access to technology and they were easily figuring out how to use it (more easily than I ever could!) so I downplayed the role of it in the curriculum. Of course, I use the ready technologies — iPad, YouTube, recording software to make CDs, notational software for their composition books. I mostly apply technology when we have special projects, or as homework assignments. I do not have a lab set up in my current home studio (outside my own equipment.) I am just now designing my own website. Right now, I’m writing an article about remaining “relevant” as an independent teacher. Many people automatically think that technology is the key to this. I’m in diametric opposition. Relevance to me is about the relationship, the listening, the empathy, our ability to stay connected to the world. YouTube is so common these days that it’s easy to forget how many musical treasures are within. It’s a great tool! Every musical element that I teach in my piano classes can be better understood with YouTube selections. One of my favorite uses of YouTube is comparing the performance of Beethoven’s Ode to Joy in the closing of the 1998 Olympics (Nagano, Japan) compared with a flash mob version and in the movie Sister Act II. Students identify the repeating phrases higher and lower, louder and softer, and discuss the differences in each movie version. I also like students to identify 4/4 and 3/4 meters with a Sousa march, Morning has Broken by Cat Stevens, Blue Danube, and a Beatles song. YouTube makes it possible for me to use student preference of music (as well as my own selections) in lessons in a meaningful way. My goal is to engage students! Charlene, like me, uses pianos in many different ways. In my home studio, I have a beautiful small Steinway that used to belong to the famous conductor of the Chicago Symphony, Fritz Reiner; a Yamaha Disklavier; two Roland digital pianos; and upstairs in my living room, a superb Shigeru Kawai. I think it’s important for students to get used to hearing, and adjusting to, all different types of pianos. I use technology for teaching sightreading. I have put my Yamaha Clavinova CVP 205 in the back room of my studio. This piano was purchased in 2000 so it requires a floppy disk, which is not floppy! The students walk in, get their chart from the file cabinet and pick up their sightreading book where they left off the week before, from a bookcase behind them. They are using different music than their private lesson. Their instruction for the chart is to put down the date, what book & what page they were on when they quit. There are two headsets so their mom can listen. I sneak in occasionally when the next student is late. They are to come a half hour early and go to the back room, scan the piece, tap it out and then start at a slow speed that they can handle. If that is reading is close to perfect, they are to keep moving the MM to the original speed. They can’t go on until each example can be played up to tempo with the disk accompaniment. When they come in for their private lesson I ask if they had any problems. If they can never get to tempo I ask them to go back and next week pick an easier book. Their sightreading improves almost 50% the first semester. I also work on sightreading in each student’s private lesson. I use The Four Star Sight Reading of Frederick Harris Music and make home sightreading assignments. I started using them when it was just by Boris Berlin (at $2.95). Now they have been republished with Berlin and Markow with Scott McBride Smith as the editor. Because students go through them so fast I keep several copies of the first few levels and 2 of the upper levels and then check them out, rather than have each student purchase their own. With Scott’s careful editing they can be practiced at home and I just check the test piece in the lesson. I tell parents that I check out music so they don’t have to lay out $13.50 (or more) every 10 weeks. Also makes them feel better about my tuition. The only time I am involved in the back room half hour sightreading with Clavinova is if they get stuck. Over the last few weeks, I have received many messages from fellow MTNA members. Many are supportive, but others raise some valid questions about what constitutes appropriate activity by a candidate for MTNA President. Today, this came to light in a thoughtful email from Dr. Gary Ingle, CEO of MTNA, to the MTNA membership. You can read his message here. It has always been my goal share the love of music study with as many people as possible. I was honored and excited to receive a nomination for the MTNA presidency, because I truly believe in what this organization stands for. I feel MTNA is one of the most powerful advocates for music education in the United States today. I am also a music teacher, just like every one of you, and I wish to share with you what I have found to be most effective during my teaching career. My hope is that you may also find some of this to be helpful, and even perhaps use it as an opportunity to begin constructive conversations about ensuring that music education continues to flourish for many years to come. Before starting my campaign last fall, I spoke to MTNA to ensure my plans would not conflict with any MTNA guidelines. I would like to clarify for my own part that the MTNA organization has not contributed information or resources of any kind to my effort. I apologize to anyone who may not have not found this clear in my communications, and if you do not wish to hear from me, simply remove your address from all future messages using this form. I invite you to read about my hopes and dreams for the future of MTNA, and glance through the blog posts I have written over the past few months. I believe raising awareness about these issues is critical, and the most important thing is not whether we agree on every point, but how we as an organization continue to remain relevant in the modern, changing world. I would welcome any opportunity to discuss any of these issues or concerns with you. Just send me an email: mtna@scottmcbridesmith.org. And please, be sure to vote. Your voice and viewpoints are important to our organization. As always, I appreciate what every one of you does in service of our shared love of music. I’ve enjoyed my experience running for MTNA president. I view it as a chance to have a dialogue with the music teachers of the United States about the key issues in teaching today, and how MTNA can help all of us address the challenges we face in creating a more musical tomorrow. So I am very appreciative of Leila Viss, who sent a set of questions to both candidates for the MTNA presidency and offered to post the answers on her outstanding blog, 88 Piano Keys. I found her queries thought provoking, to say the least, and I value the opportunity to share my ideas. If you haven’t had a chance to check it out, I recommend it! This is the final post in a four-part series on how technology is changing music education. Find the previous posts below, or subscribe to new posts by email! 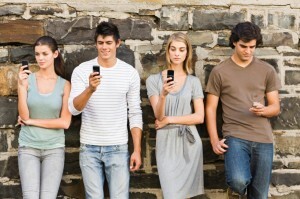 “Millennials” is the accepted name for the group of young Americans born between 1980 and the mid-2000s. It’s the largest generation in the U.S. today, representing one-third of the total population in 2013. They are diverse and educated, family-oriented and eager to contribute to their community. 1 They grew up with and are comfortable using technology. All of this makes them ideal MTNA members. But there are some problems, too. Many of them pay for their higher education through loans. Outstanding student loan debt was a staggering $1 trillion in 2014, making it the second largest category of household debt in the U.S.
Millennials have faced tough challenges entering the workforce during the worst economic downturn since the Great Depression. Unemployment for this demographic group was over 13% in 2010. While this figure has gradually improved since then, mirroring the growth in the U.S. economy, Millennials still face significant pressure on long-term earnings. One study showed that workers who begin their career during a recession earn 2.5%-9% less per year for at least 15 years. So our younger colleagues are not being selfish when they ask: what’s in it for me? What does MTNA have to offer that will make my life—and my family’s life and my community’s—better? I’m encouraged by some of the ideas on technology I see coming out of MTNA. I like the idea of the “Members Only” section. The legal documents and member discounts already there (among other things) are great; I understand there are plans for webinars on all sorts of practical strategies to help MTNA members, of any generation, build skills and increase their income. This initiative needs to build and expand. We need to make music lessons available to all the children in the U.S. Technology will help us do so. Mike Bates told me “anything that doesn’t allow students to experience music is a mistake”. I’d go even further. Anything that expands opportunities for music study should be a part of the MTNA mission. This is the third post in a four-part series on how technology is changing music education. Check back tomorrow to read the conclusion, or subscribe to new posts by email! Many of today’s music-teaching apps and software are structured like games. “Gamification” is a hot topic in education today. Authors from the Massachusetts Institute of Technology 2 observe that game players exhibit “persistence, risk-taking, attention to detail and problem-solving skills”–all skills that we want our music students to display. 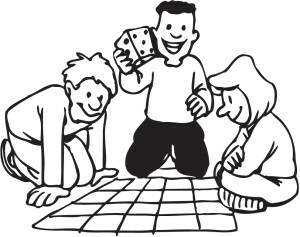 Games allow players to build understanding in an active, involved way rather than by passively listening to a teacher; they learn at their own pace while collaborating and achieving just-in-time learning. Games are an important part of what technology has to offer music learners. But their benefits are not just for students. I think technology frees teachers to do what they do best: connect. “Technology frees teachers to use their ‘soft’ skills: communication and creativity”, says Kristin. Apps and software are already changing the structure of music lessons. Many tasks that “ate up” contact time with the teacher can now be off-loaded to technology, with teacher supervision. 3 Piano Maestro is an app that can monitor progress at the keyboard and check note and rhythm accuracy while student plays a repertoire that includes many pop songs. Playground Sessions is a similar program. Apps like Tenuto or Music Ace can explain concepts of musicianship, provide drill activities and monitor student learning, so that each student doesn’t proceed to the next level without true mastery of the preceding material. Some teachers I know make their own theory program and post it on-line using a service like Edmodo or Udemy. There are several of these. Since my main teaching responsibilities are at the University of Kansas, I have only a few pre-college students and haven’t made use of studio management apps. I have heard good reports about Music Teachers Helper. But don’t go by what I say: check out one of the many Facebook piano teaching groups and see what active users say. Instagram and Pinterest are also full of good ideas. Here it is: the list of apps and software that I use in my own teaching. It’s a grab bag of tools that I have learned about from Facebook Teachers groups, friends, and trial and error. I’ve already mentioned my Disklavier, which I use for playback and long distance teaching. I use two metronome apps: Tempo, which I like because of its wide-ranging speeds and ability to choose subdivisions; I also use Pro Metronome for its ability to “tap” the speed your student is playing into the metronome and find out what speed he or she is actually taking. PolyRhythm is a marvelous tool for counting cross rhythms. I think the Amazing Slow Downer is…amazing. You can take any recording, by a famous concert artist or your student, and play it at any speed, without altering pitch. It’s a great way to focus on details of tone, balance and pedal. I’m just starting to use Coach’s Eye, a video analysis app designed for sports that allows you to make quick videos and immediately review, play back in slow motion or with side-by-side comparison, do audio voice overs and use what they call “telestration”, the ability to diagram on the screen. I think this will be very useful to talk about the mechanics of technic.